We have been fans of Razika for a while, and after attending one of their concerts in Oslo in January, one track in particular got stuck in our heads. So much so that we grabbed their manager, Mikal Telle, and made him play us Razika-songs from his iPod until we found it. 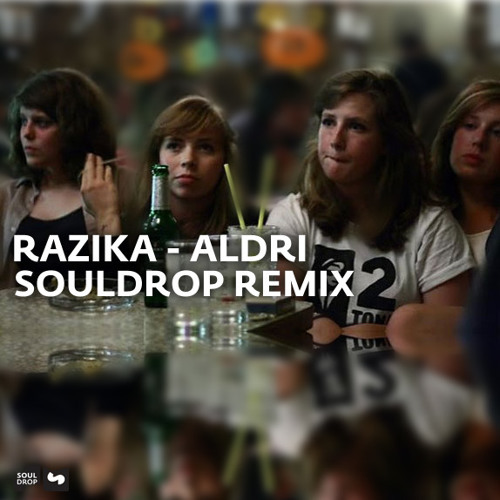 The song is called "Aldri" and is from Razika's debut album which will be out on March 21st, 2011. This is our remix! Denne remixen går ALDRI, ALDRI, ALDRi ut på dato - perfekt for fredagskvelden! Takk #souldrop! @alexander-skaug: Hvertfall denne delen av remixen! Would LOVE to have this remix downloaded!! Would pay!! This mix is awesome. WANT. just a sick bit here damn!